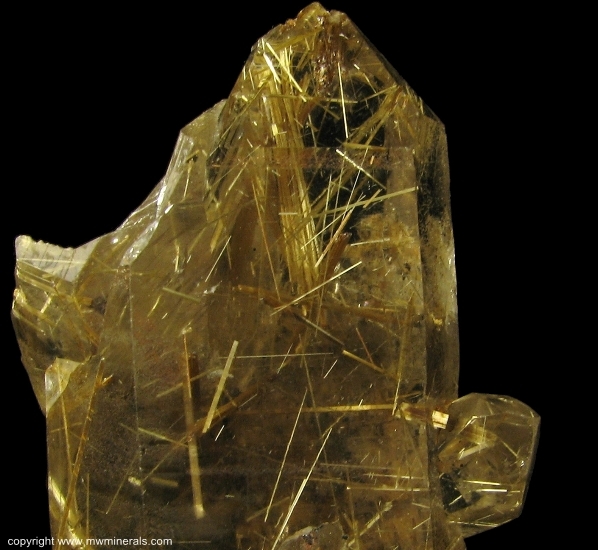 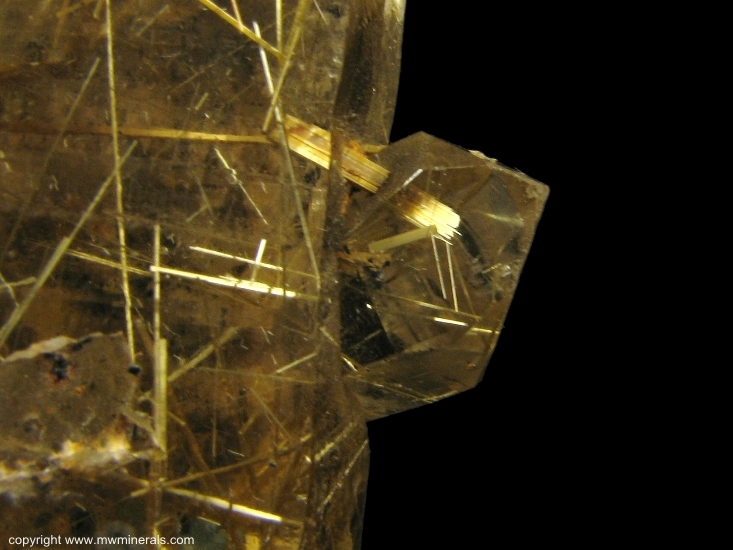 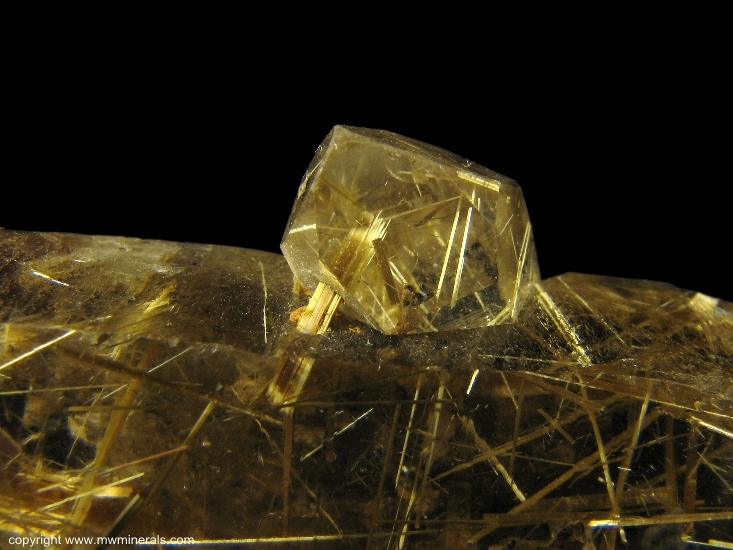 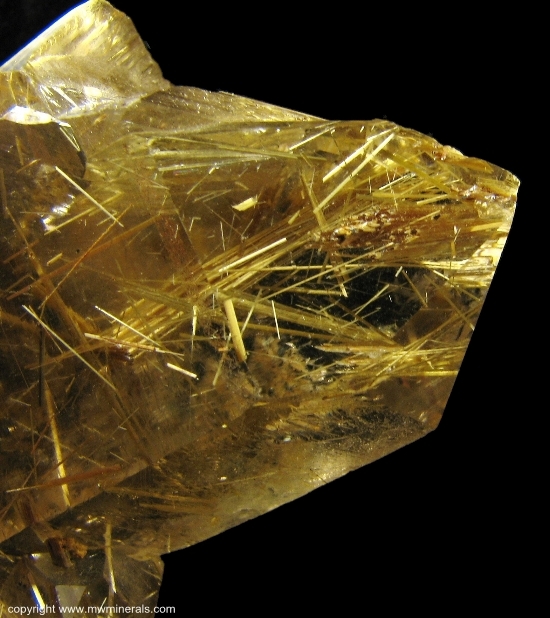 The Rutile in this specimen is a very bright gold color. 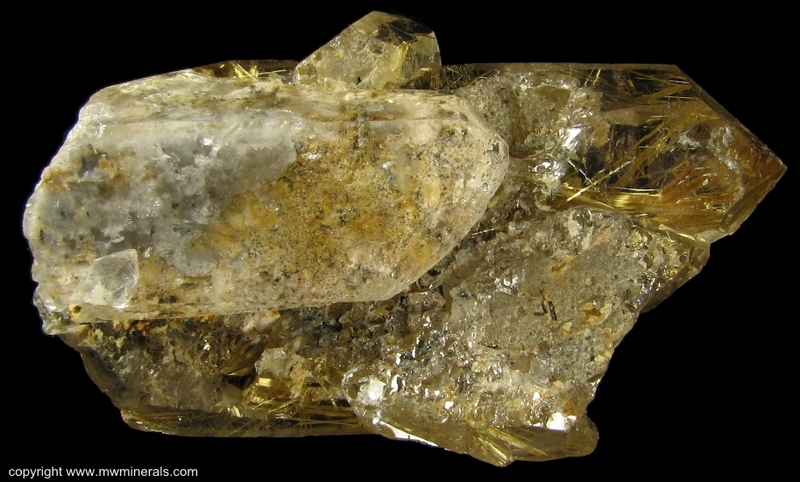 The Quartz is very clear with a high luster. 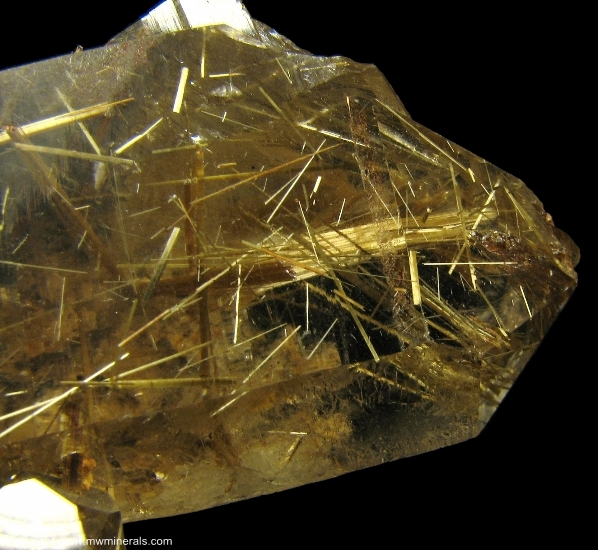 This makes for a very attractive specimen. 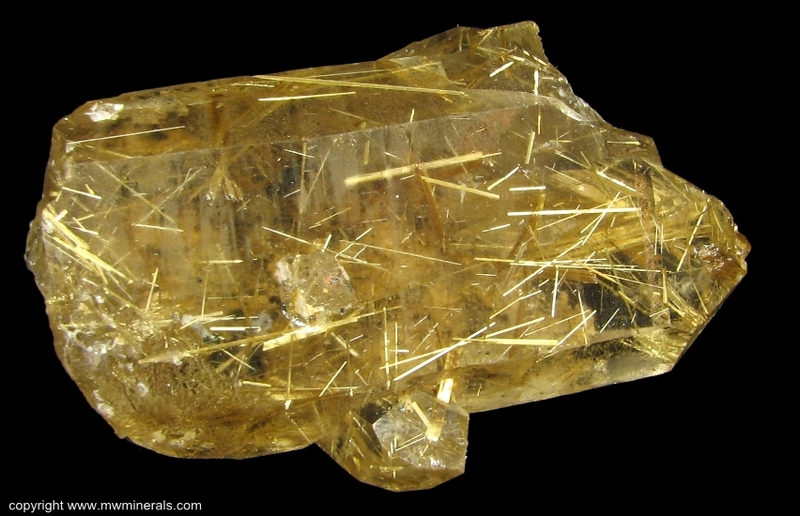 On the bottom side, there are a few micro Hematite plates included in the Quartz. 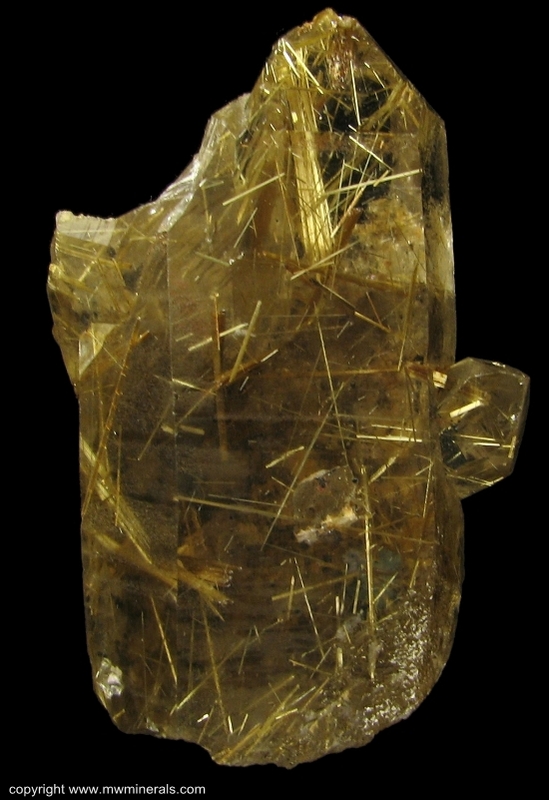 The specimen is in good condition. 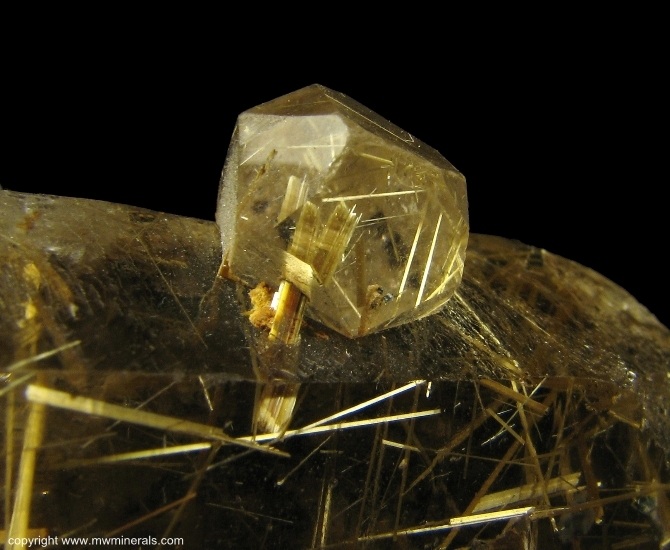 The only damage is on the back side on one of the bottom corners of the termination.